From Douglas Laing comes this single grain whisky from a refill barrel with the cask number DL11665. Only 557 bottles were made. A lot of sugary sweetness in the smell. Burned caramel and light oak. It is very sweet considering the low age. The taste is more flavourful. Still very sweet, but burned oak gets very dominant, and gives you vanilla and hints of oak spices. The finish is medium long, sweet and nutty. 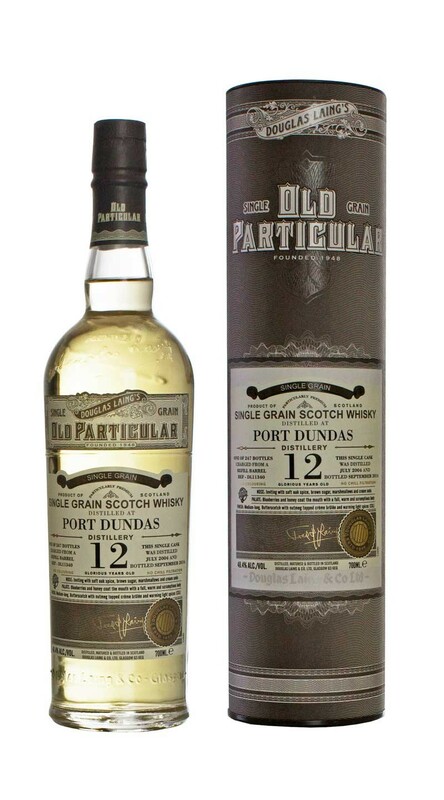 I am just amazed about how much flavor Douglas Laing can find in these young Port Dundas grain whiskies. I would have guessed it to be about 15 to 20 years old. Get them while they are still cheap! I will give this 83/100 (20/22/21/20).